Despite the popularity of mobile devices, few people know to use the Accessibility features available to them on their device. It’s not easy for someone who is visually impaired to operate mobile devices. Mobile Accessibility (A11Y) is a built-in feature subsist on all mobile platforms so that anything on mobile can be accessible to all. Why Implement A11Y on Mobile? Mobile devices are a more popular, portable, and user-friendly device, and they are the cheapest medium of communication. The majority of people are accessing content on their phones as well as on their computers, so making any website or application able to perform on mobile devices is as important as making them on desktops. We had a client request that we ensure their web presence was accessible; however, once we showed them that mobile accessibility was equally important, they also requested that we ensure their accessibility on that platform. Mobile devices are pretty compact, so screen sizes are much more diminutive than on desktops. 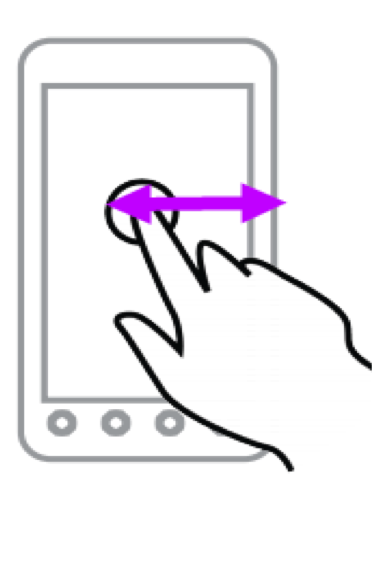 In terms of mobile accessibility in relation to screen size, the behaviors of scrolling within a list and swiping with fingers play a pivotal role. Each mobile device has a different resolution feature, so the color contrast ratio varies between them. A lot of the time, loading things on a mobile device takes longer than on a desktop, so this must be taken into account. 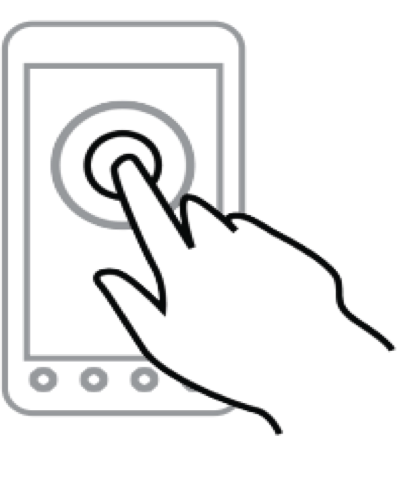 Each device has unique finger gestures used to operate it, where on desktops it’s very uniform. 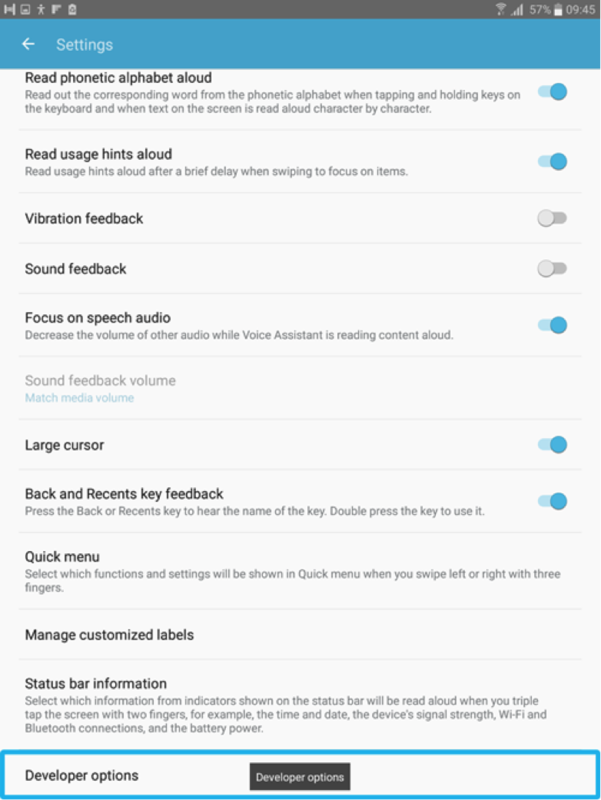 On mobile devices, there are different settings to enable speech viewer and punctuation, unlike the default settings on desktop. 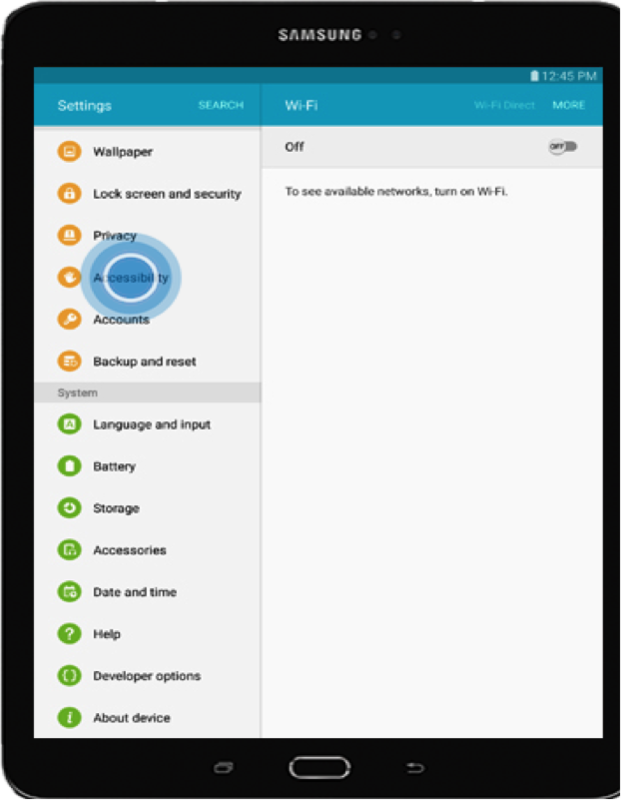 Now let’s talk about mobile accessibility when it comes to Android devices. 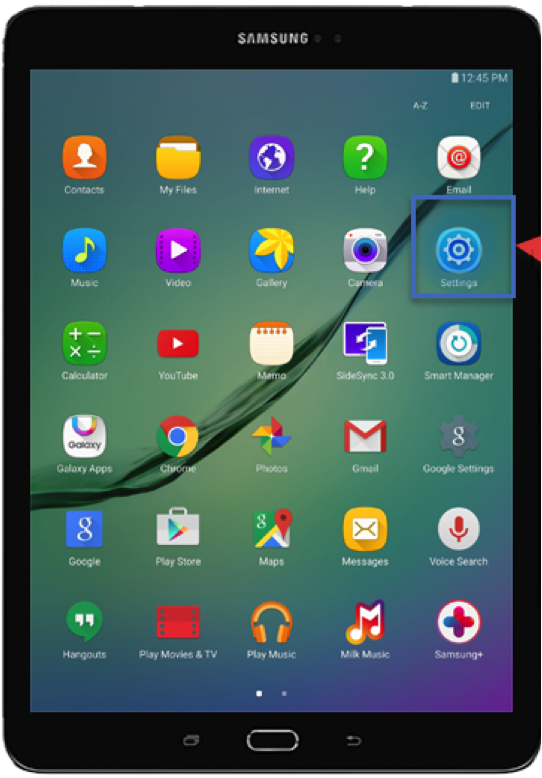 We’re going to look at a Samsung Galaxy Tab S2, which is an Android tablet that uses Voice Assistant. Swipe left to right with one finger: The purpose of this is to move the focus box to another item. When you want to interact with an item on the screen, a blue rectangular “focus box” is visible on that particular item. You can use a swipe left or swipe right gesture with one finger to move the focus box to another item. When you swipe left to right around the screen, the voice assistant screen reader will tell you on which item the focus box is present. Double tap with one finger: The purpose of this is to activate the selected item. When you want to select or open an item on the screen, use the double tap gesture with one finger. Two finger swipe up/down: The purpose of this is to scroll within lists. When you want to scroll within a list or scroll down/up within the page present on the screen, use the two finger swipe gesture. Two finger swipe left/right: The purpose of this is to change pages or screens. When you want to scroll within list or scroll down/up within the page present on the screen, use the two finger swipe gesture. 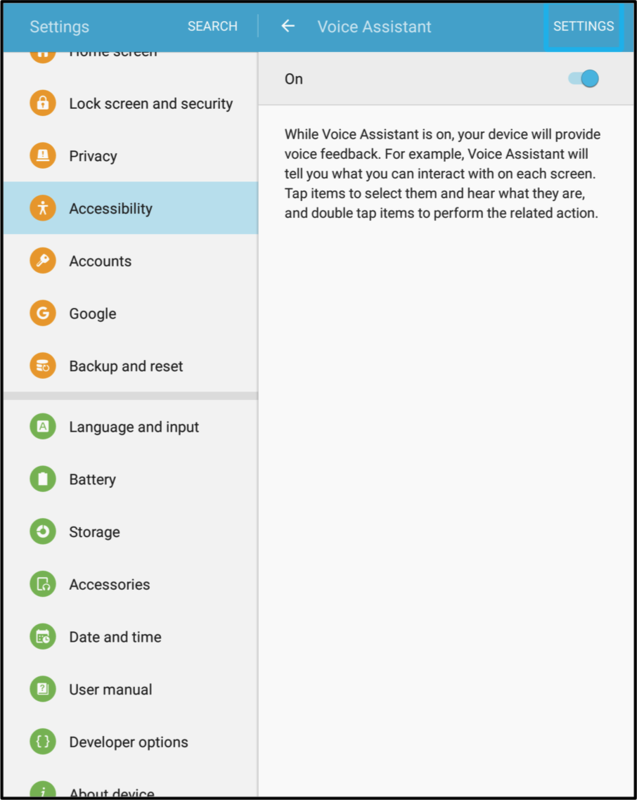 On a mobile screen, the voice assistant informs users of quotation marks, parentheses, or dashes, so users get to know when quotation or parenthetical phrases begin or end. 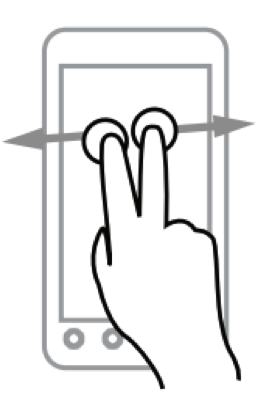 To enable punctuation, the user has to swipe with three fingers to the right until a punctuation notification sounds on screen. 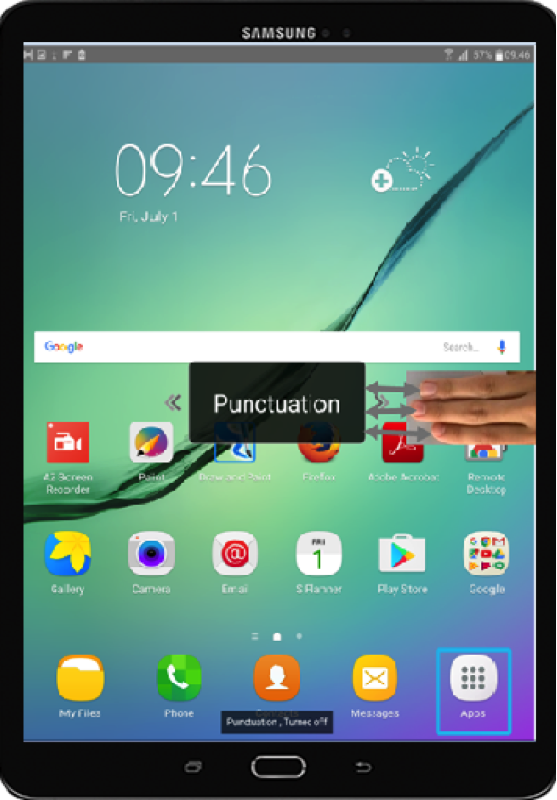 Once the punctuation notification setting is visible on screen, swipe up with one finger to enable punctuation. Color contrast is a major tenet of the Accessibility test. According to WCAG 2.0 guidelines, there should be a sufficient color contrast ratio for any image. 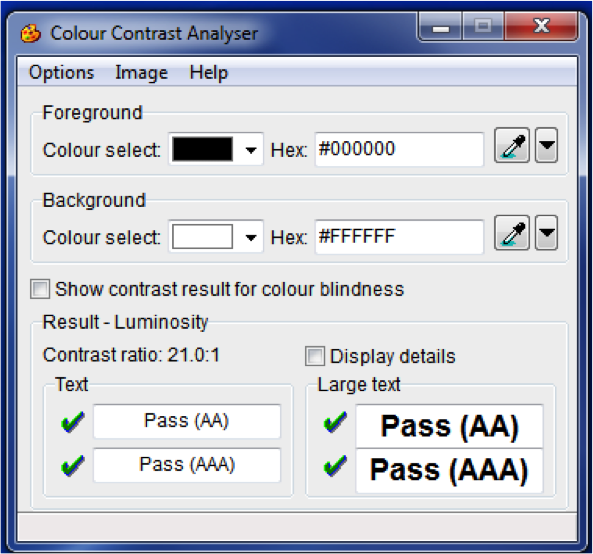 There are plenty of different types of open source tools to use to check color contrast ratio on a desktop; I usually use Color Contrast Analyser. However, checking the color contrast ratio is not the same process on desktops as it is on mobile devices. 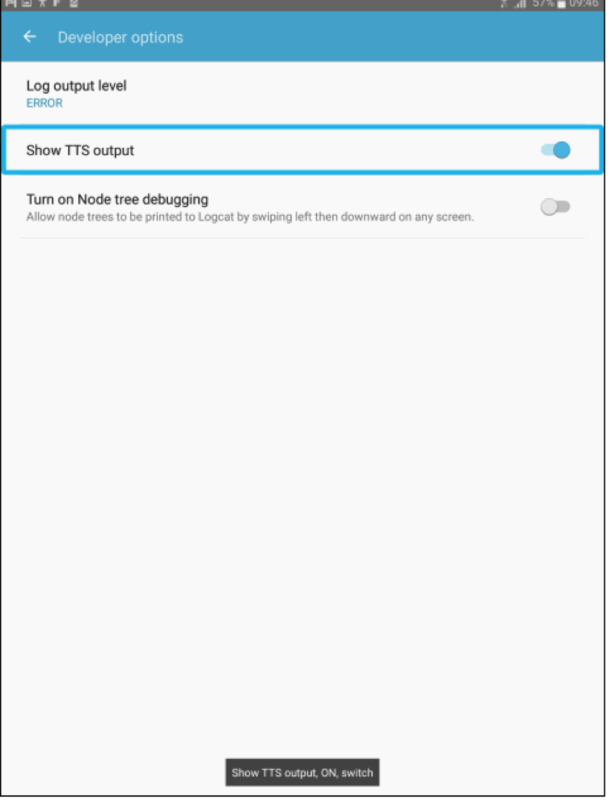 On Android devices, you have to download the Android Studio Emulator to check the color contrast ratio. Once the emulator is installed, you can select or create a device-specific emulator and test the color contrast ratio. 1. 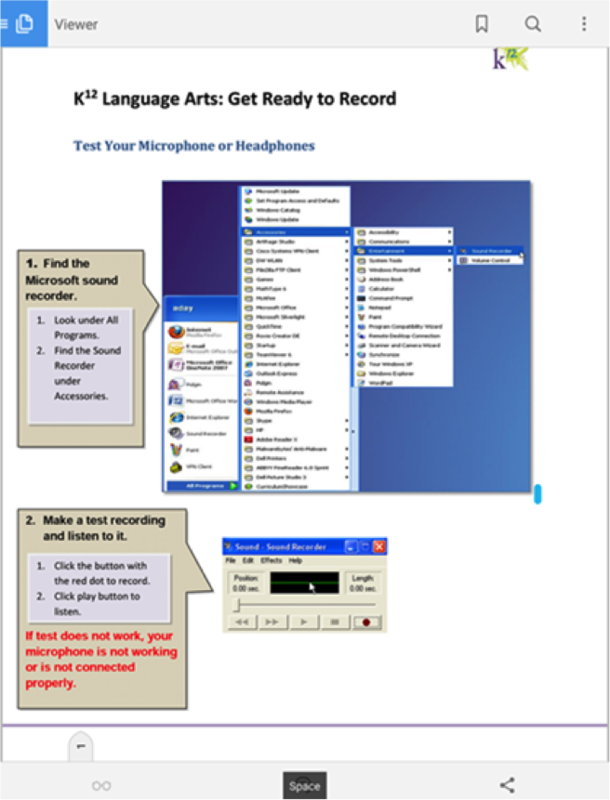 The NVDA/Jaws screen reader will notify a user of heading structures like heading level 1 and2, but the voice assistant screen reader does not inform users of heading structures. 2. The NVDA/Jaws screen reader notifies a user of links that they should be aware of, but the voice assistant does not notify users of links. Jyoti Kalra is a Quality Assurance Engineer for 3Pillar Global. She has a multitude of experience, including SQL, Java, and JMeter. She also has a variety of testing experience, including Selenium, database, and automation testing. I am working on a project where my job is to test for the content and accessibility testing. so just wanted check accessiblity on mobile devices. I have got the info i was looking for in this website. 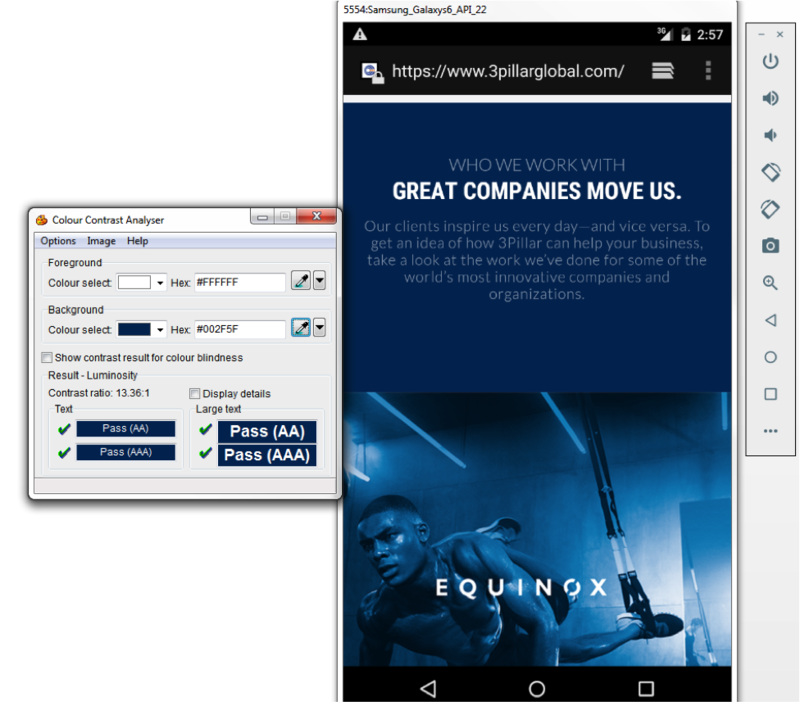 Hi Can we use “Axe” tool accessibility browser extensions to perform accessibility testing on mobile devices. I am looking for some tools on accessibility testing for iOS native mobile application. it would be great, If someone can share information regarding that. if you have checklist for same can you mail me on my mail id. Actually, my question is how to compare the voice-over input with the excepted string which is read during accessibility turned ON for example – If I am supposed to tap the account setting icons after launching the app, I need to verify the voice content with the excepted values .. so please suggest me the way how to compare it so we will get to know the voice-over which is reading the excepted values. it will very helpful if you can suggest me the way to encounter this.